 The State Science and Engineering Fair of Florida offers Scholarship Nominations and Opportunity Awards to students participating in the SSEF. Complete the application form(s) carefully. Make sure you are currently in the grade level eligible for the award. Submit transcripts and teacher nomination letters as required. Complete the Scholarship Nomination Form (www.ssefflorida.com ) for University/College Scholarships Nominations. There is a separate application for the National Youth Science Camp Award and H20 to Go Award. Applications must be completed correctly order to be considered for the award. Interviews will take place during Judging. ALL Applications are due on-site during Project Set-Up by 5:00 PM. Turn your applications in at the Registration Table when you arrive with your RSEF Delegation. NATIONAL YOUTH SCIENCE CAMP AWARD A prestigious Award offered by the Governor’s Office Florida will select two candidates and up to four alternates. Candidates must be seniors (12th grade) eligible for graduation this academic year. The candidates must, with parent/guardian permission, commit to attend the National Youth Science Camp from June 27 – July 20, 2019. The camp will be held in the Monongahela National Forest in West Virginia. This is an all-expenses paid opportunity to include transportation. This month-long summer, outdoor adventure program honors excellence in science and promotes scientific leadership through lectures, hands-on research opportunities, and challenging outdoor activities. (See brochure online at www.nysc.org and NYSC FAQ’s at www.ssefflorida.com for more information.) Complete the SSEF/ NYSC application www.ssefflorida.com. FAU PINE JOG SUMMER RESEARCH INSTITUTE H2O to Go! Students currently in grades 9-11 are eligible. This opportunity award for the H20 to Go! Connections week-long summer research institute is valued at $650 and will be held July 15-19, 2019 at the FAU John D. MacArthur Campus in Jupiter, Florida. Participants work alongside scientists at two of FAU’s research facilities (Harbor Branch & Riverwoods) while learning about south Florida water systems and related environmental issues. Complete the H20 to Go! Application www.ssefflorida.com. CHUCK SKOCH FLORIDA SEA GRANT SCHOLARSHIP A $1,000 Scholarship will be awarded to a 12th grade high school student for the following freshman year for a student enrolled in a full-time academic program in a Florida university or community college. Eligible science fair projects should address topics related to marine biology, fisheries science, marine aquaculture, seafood safety or technology, oceanography, ocean or environmental engineering, coastal water quality, coastal estuaries and/or habitats, coastal storms or hazards, or any other aspects of marine resource management. Complete a Scholarship Nomination Application prior to judging – www.ssefflorida.com. LINK FOUNDATION A $1000 Cash Scholarship will be awarded to a 12th grade student once he/she is registered at a Florida college/university. This scholarship is awarded in memory of E. Clayton Link and Albert D. Stover. The student nominee must have a project related to marine biology, ocean engineering, oceanography, aviation, or energy conservation and research. Complete a Scholarship Nomination Application prior to judging – www.ssefflorida.com . FLORIDA GATEWAY COLLEGE Up to two 12th grade Finalists will be nominated for a $1,000 scholarship from Gateway College in Lake City, Florida. Since Florida Gateway College offers baccalaureate degrees in Nursing and Water Resource Management, one scholarship will be awarded to an outstanding health related project and the second scholarship will be awarded to an outstanding water-related project. Complete a Scholarship Nomination Application prior to judging – www.ssefflorida.com. FLORIDA GULF COAST UNIVERSITY Up to two 12th grade Finalists of the 64th State Science and Engineering Fair of Florida will be nominated for a one-time $2,500 scholarship ($1,250 fall & $1,250 spring) for undergraduate work in the fall immediately following their high school graduation. Students must be admitted to Florida Gulf Coast University and have completed a verified FAFSA. Complete a Scholarship Nomination Application prior to judging – www.ssefflorida.com. FLORIDA INSTITUTE OF TECHNOLOGY ONLY For Finalists in 11th Grade Florida Institute of Technology (FIT), located in Melbourne Florida, will offer 13 guaranteed minimum scholarships valued at half tuition per academic year (a value of around $84,000 over four years) for use at FIT. One scholarship will be awarded for each of the 13 subject categories at the 63rd State Science & Engineering Fair of Florida. Awardees must be admitted and attend FIT as a full time, degree seeking student to use these scholarships. Winners will be selected by judges from FIT. Students must meet the admissions criteria for the major they are enrolling in. Students are eligible to receive only one FIT Science & Engineering Fair Scholarship at the regional, state, or Intel ISEF levels of competition. If a winner, upon admission to FIT is eligible to receive an academic scholarship that is higher than half tuition per year, the higher scholarship will replace this scholarship. 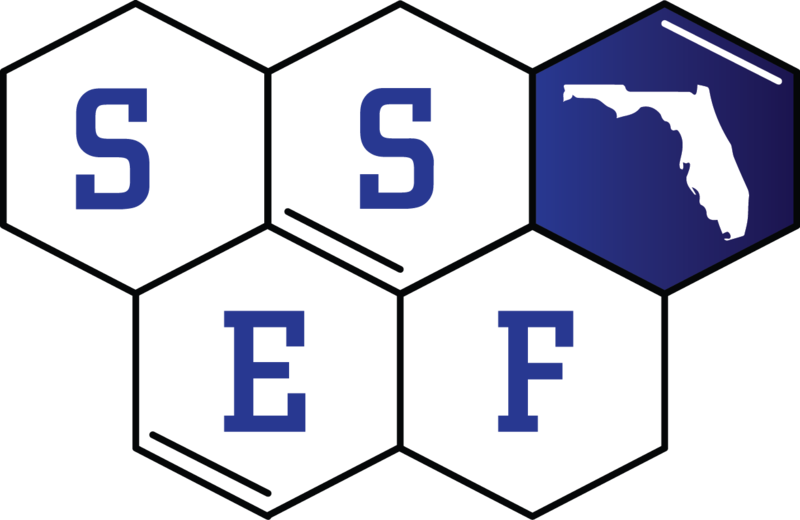 Only 11th Grade Finalists are eligible for the SSEF of Florida scholarship. Complete the Scholarship Nomination Application prior to judging – www.ssefflorida.com. NEW COLLEGE OF FLORIDA IN SARASOTA For students in 11th grade The New College of Florida SSEF Scholarship award nomination will be awarded for up to ten 11th grade finalists of the Annual State Science and Engineering Fair of Florida. To be eligible for the award, the Finalists must be admitted and enroll at New College of Florida in Sarasota Fall of 2019 with the intent to study mathematics or science. Each award will be $2,000 per year, totaling $8,000 over four years toward attendance at New College of Florida. Do NOT complete a scholarship application. UNIVERSITY OF CENTRAL FLORIDA PEGASUS GOLD SCHOLARSHIPS Up to five 12th grade Finalists of the 63rd State Science and Engineering Fair of Florida will be awarded the UCF FFFS/PEGASUS GOLD scholarship. Student must be offered admission to the University of Central Florida. The scholarship has a total value of $14,000 over four years ($3,500 each year). If a student has already received the Pegasus Gold Award upon admittance, he/she would not get an additional award. If a student has received a lower level scholarship upon admittance, the scholarship award would be increased to a Pegasus Gold award for participation in the SSEF. Students awarded a Pegasus Gold Scholarship must meet all scholarship requirements for disbursement and renewal. Complete a Scholarship Nomination Application prior to judging – www.ssefflorida.com. UNIVERSITY OF FLORIDA COLLEGE OF AGRICULTURAL AND LIFE SCIENCES Two Senior Section Finalists in the 11th or 12 grades will be awarded a scholarship from the UF/IFAS College of Agricultural and Life Sciences (CALS). To receive this scholarship, the Finalist must be admitted to the University of Florida as a freshman or transfer student and enrolled as full-time degree seeking student pursuing one of 23 undergraduate majors in the CALS or the biological engineering major offered in the College of Engineering. Each scholarship will be $2500 per academic year and may be renewed for up to four years if the student maintains eligibility requirements. Visit www.cals.ufl.edu for more information on CALS majors. Complete a Scholarship Nomination Application prior to judging – www.ssefflorida.com. Up to 10 Wilkes Honors College Science Merit Scholarships will be awarded to 11th or 12th grade finalists of the 64th State Science and Engineering Fair of Florida. These $3,500 per year scholarships are renewable up to 3 additional years if students maintain eligibility requirements, for a total value of up to $14,000. Recipients must be admitted to and enroll full-time at the Wilkes Honors of FAU in Jupiter, FL beginning Fall 2019 (for 12th graders) or Fall 2020 (for 11th graders) with the intent of studying science or math. Recipients will have access to internships at the Scripps Research Institute-Florida, Max Planck Institute, and FAU Brain Institute, all located on the Jupiter campus. The scholarship may be used only for matriculation at the Wilkes Honors College. The award is not stackable with other Honors College scholarships. For more information about the Wilkes Honors College see www.honorscollege.edu. Complete a scholarship nomination application prior to judging –www.ssefflorida.com. NASA OPPORTUNITY AWARD ONE-WEEK SUMMER EXPERIENCE: Through an interview process, NASA will award one 12th grade student with a project that is related to NASA’s or Kennedy Space Center’s (KSC’s) mission to spend one week at KSC shadowing one or more engineers in the student’s field of interest. The student will also receive two (2) complimentary tickets to the NASA KSC Visitor Complex. Student must be a U.S. citizen, intend to pursue a technical career and be willing to reside within a 50 mile radius of KSC at his/her own travel expense. Complete the NASA opportunity award application.